Lesley releases her new and finest album on the 23rd April. 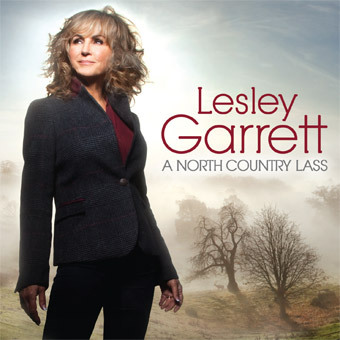 In the folk- inspired, classical tradition of Vaughan Williams, Gustav Holst and Benjamin Britten, Lesley returns to her north country, folk music roots to record an inspired collection of British and Irish songs, with powerful authentic instrumentation providing a dramatic contemporary sound. Reunited with music director Paul Bateman and producer James Fitzpatrick, with whom she worked on her first five hit albums, Lesley has mined more than six centuries of traditional music. She has selected sixteen songs that range from Henry VIII’s ‘Pastime With Good Company’ and John Dowland’s ‘Fine Knacks For Ladies’, the 17th century’s ‘Over The Hills And Far Away’ and title track ‘A North Country Lass’, to the more recent Welsh lullaby ‘Suo Gan’ and as a bonus the complete version of ‘On Ilkley Moor Baht‘at’ arranged for soprano, brass band and choir.